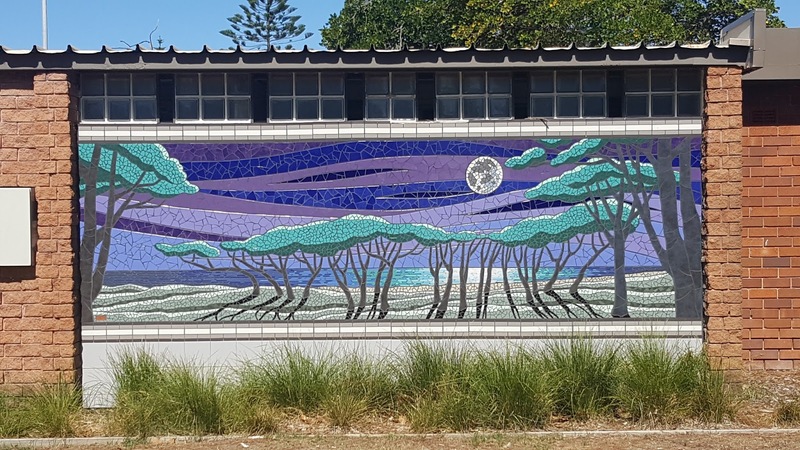 This mosaic mural is on the side of the amenities building in Depena Reserve, in the southern suburb of Dolls Point. This is one of four murals created by Steven Vella in 2008. A lot of work but its a nice mural indeed. A wonderful mosaic and wall painting. I love the murals you find, Jim. This one is especially enchanting. Thanks for linking to Blue Monday! A stunning mural, so beautifully captured. This is a very pretty blue mural of the moon! I agree it is very peaceful. Beautiful mosaic. Has a kind of mid-century modern vibe. Thanks for contributing to this week's Monday Mural.